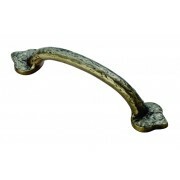 Pull handles from the Carlisle Brass Fingertip Design range. 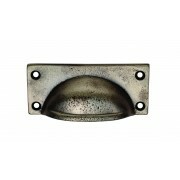 Replacing the handles is an easy and affordable way to update your existing kitchen cupboard doors and drawers. 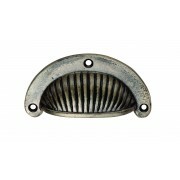 The Fingertip Design handles also compliment the Beeswax, Pewter and Black Antique ranges. 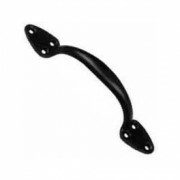 Kirkpatrick Mallable Iron Smooth Finish Black Face Fix Door Pull Handle suitable for internal doors and cupboard doors. 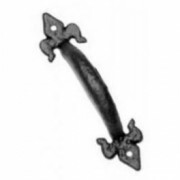 Available in 2 sizes 102mm or 152mm (inside grip) ..
Kirkpatrick Mallable Iron Black Door Pull Handles with Fleur de Lys detailing Face Fix with Screws Available in two sizes 101mm and 177mm ..
Carlisle Brass Fingertip Design Traditional Cabinet Handle 128mm centres, 154mm overall. 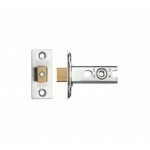 Bolt Fix. 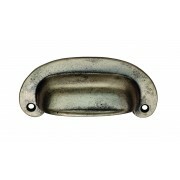 Pewter Effect. 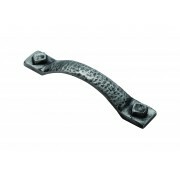 ..
Carlisle Brass Fingertip Design Traditional Fleur D Lys Dimple Cabinet Handle Black Antique 102mm centres, 148mm overall, 39mm projection ..
Carlisle Brass Fingertip Design Fleur D Lys Traditional Cabinet Handle Black Antique 68mm centres, 105mm overall, 35mm projection ..
Carlisle Brass Fingertip Design Traditional Hammered Effect Cabinet Handle Pewter Effect 128mm centres, 154mm overall, 28mm projection ..
Carlisle Brass Fingertip Design Traditional Fleur De Lys Hammered Cabinet Handle 102mm centres, 151mm overall, 33mm projection Available in two finishes Pewter Effect or Antique Black ..
Carlisle Brass Fingertip Design Traditional Fleur D Lys Hammered Cabinet Handle 68mm centres, 110mm overall, 36mm projection Available in two finishes Pewter Effect or Antique Black ..
Carlisle Brass Fingertip Design Traditional Cabinet Handle 85mm centres, 104mm overall. 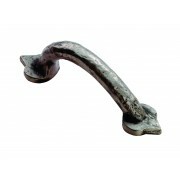 Pewter Effect. 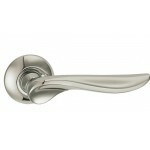 ..
Carlisle Brass Fingertip Design Traditional Cabinet Handle 84mm centres, 97mm overall, 22mm projection. Pewter Effect ..
Carlisle Brass Fingertip Design Traditional Cabinet Handle 79 x 25mm fixing centres, 90x40mm o/a Pewter Effect. ..